In a society predicated on information, the media has a pervasive presence. From government policy to leisure television, the information age touches us all. The papers collected in this book constitute some of today’s leading analyses of the information industry. 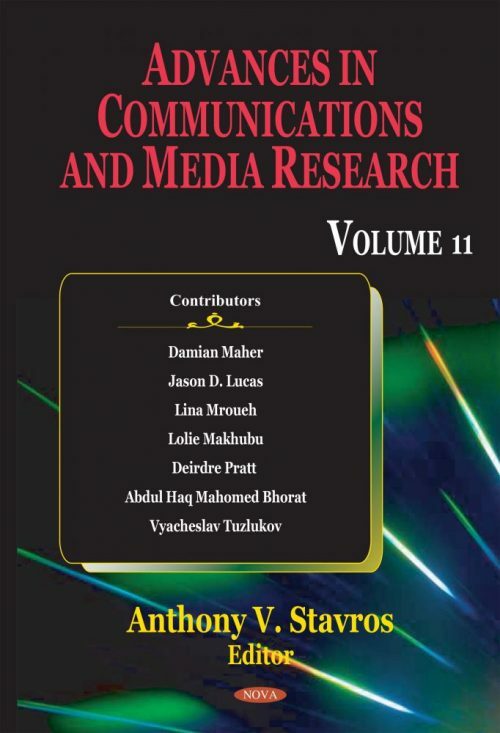 Together, these essays represent a needed foundation for understanding the present state and future development of the mass media. Current trends in communications as well as media impact on public opinion are studied and reported on. Topics include video conferencing via mobile devices in schools; managing the facility with lifecycle information; radio resource allocation in MU-MIMO LTE networks; a systemic modelling approach to interpreting service delivery; a morphogenetic approach to digital multimedia for college resources; and detection of spatially distributed signals by generalized receiver using radar sensor arrays in wireless communications.